A four part 360 video campaign for recruiting centers all over the country. We first got in touch with the US Coast Guard by way of their commanding officer in charge of recruiting. 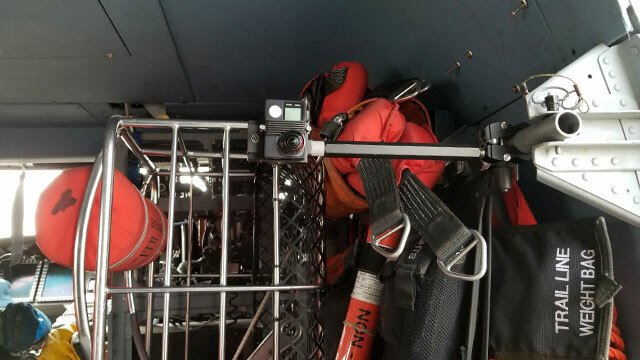 After an opportunity to meet with decision makers at a nearby recruiting center in Vancouver, WA, it was apparent that 360 video could be an incredible recruitment tool for the USCG. They could immediately see the potential for VR headsets and immersive 360 video to help prospective recruits experience Coast Guard life. 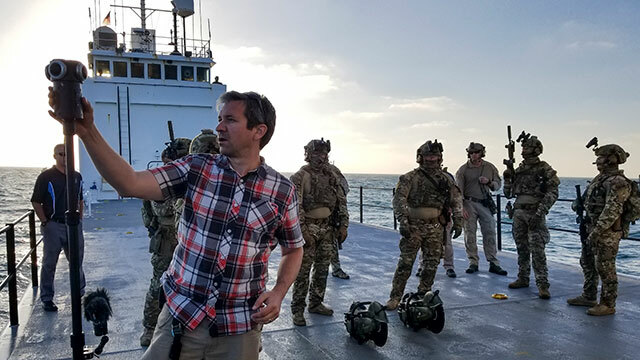 In collaboration with their marketing agency of record, LMO, 360 Labs set out to create a 360 video series highlighting four unique scenarios including an MH60 helicopter rescue, a 47’ motor life-boat rescue, the basic training experience at Cape May, and tactical training with a Maritime Security Response Team (MSRT). 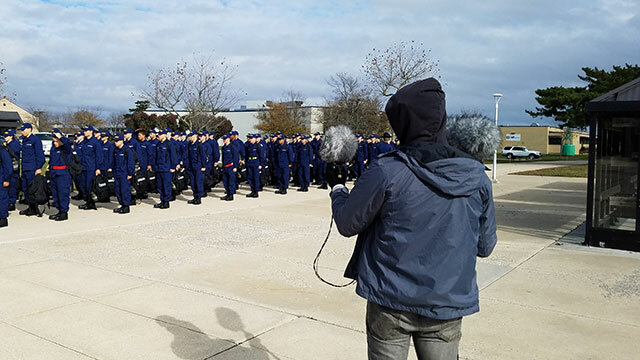 Each 360 video would put the potential recruit in the shoes (or boots, in this case) of real enlisted USCG personnel, not actors, practicing real missions and training that are part of the day to day job of a coastie. We learned that with military productions, safety is key while trying to make scenarios as realistic as possible. 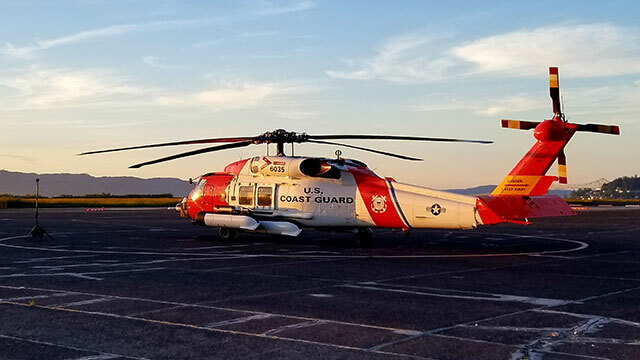 We provided the USCG with measurements, weights, and exact specifications of mounting equipment that would go inside of their MH60 helicopters and C27 aircraft. Our team scouted each location beforehand, tested cameras to ensure they wouldn’t interfere with vital flight control equipment, and could only use gear once this rigorous testing was completed and our cameras were approved. Utilizing special microphones, 360 Labs provided head-tracked spatial audio mixes for Facebook, YouTube and Samsung Gear VR, offering each viewer an immersive experience where the sound makes them feel like they are part of the action. However, using the right microphones is only the beginning. We took careful consideration in sound design to mix each track for every platform, from multiple microphone sources. All of our equipment had to be waterproofed, to the greatest extent possible while still maintaining image quality. One of the most difficult shots we had to tackle was the 25’ jump of a rescue swimmer into the ocean from an MH60 helicopter, from his point of view. Saltwater can be particularly hard on equipment, but our prior experience working in Mexico with whale sharks and production of “Diving the Red Sea” helped us plan for this challenge. Coordination was key. Many of our shots involved lots of moving parts with multiple camera angles from aircraft, boats, mounted to people, and other perspectives. Timing and scheduling were crucial, considering some of the aircraft assets were only available to us for a short time. We also had to be ready to abort our mission at a moment’s notice if the assets were needed for an emergency. We worked very closely with the USCG to plan and brief each shoot day. Together, they have amassed more than 750,000 views with online platforms as of the time of writing, with lots of earned interactions and shares. They also purchased 200 Samsung Gear VR headsets along with Samsung Galaxy phones to outfit all of their 50+ recruiting centers around the country with the VR experience, so that potential recruits can get a chance to experience the Coast Guard before making what could be one of the most important decisions of they've ever made. To everyone in the Coast Guard, and every branch of military, we thank you for your service!